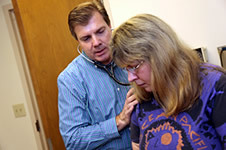 Internal medicine focuses on adult health care. 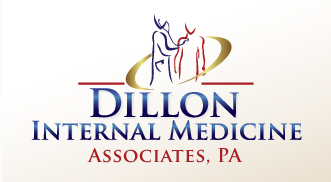 At Dillon Internal Medicine, we specialize in the complex diseases that can affect adults. Our practice focuses on preventing these diseases through wellness care, as well as treating chronic disorders. For more information regarding these and other medical conditions, use our UpToDate widget. UpToDate is an online medical information resource where patients can go to learn about a medical condition, better understand management and treatment options, and find information to have a better dialogue with their health care providers. 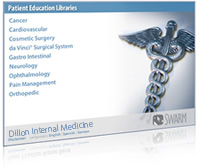 UpToDate is the trusted resource of physicians around the world. Heart failure occurs when the heart cannot pump oxygen-rich blood quickly enough, blocking the rest of the body from receiving the nutrients it needs. This condition usually develops over time as the heart weakens from disease or defects and cannot pump properly. Although heart failure does not mean that the heart stops, it is still a serious condition that requires medical attention. Heart failure is usually a chronic condition, but symptoms can sometimes appear suddenly. Symptoms that appear suddenly may be more severe and can quickly worsen. Chronic heart failure usually requires lifelong treatment to manage symptoms and prevent permanent damage. 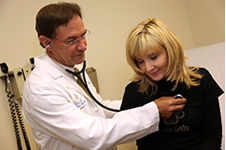 At Dillon Internal Medicine, we can help you manage heart failure to reduce symptoms and improve your overall function. Cholesterol is an essential fat found in every cell in the body and used to produce hormones like vitamin D and bile. While a certain amount is necessary, too much cholesterol is unhealthy and blocks the blood from flowing through the arteries. High levels of "bad" cholesterol can lead to several serious complications, including atherosclerosis, heart attack and stroke. Cholesterol levels can be controlled through an active and healthy lifestyle. There are no symptoms associated with high cholesterol, so it is important to monitor your levels on a regular basis. At Dillon Internal Medicine, we can check your cholesterol levels through a blood test called a lipid panel. A low-fat diet and losing weight in general can help lower LDL and triglyceride levels. Medications may be needed if total cholesterol and LDL levels are still high. Our providers can help maintain a healthy cholesterol. High blood pressure, also known as hypertension, occurs when the pressure of the blood flowing against the blood vessel walls is above the normal range. High blood pressure occurs when the systolic reading is elevated above 140 or higher and/or the diastolic reading is 90 or above. The causes of high blood pressure are not exactly known. It cannot be cured but it can be controlled with changes to your lifestyle and medicine prescribed by your doctor. Almost 1 out of 4 Americans have high blood pressure and most of them don't know that they have it. High blood pressure doesn't have any signs, which is why it is so dangerous. If you do not treat it, you may experience heart failure, kidney failure, a heart attack, stroke or death. 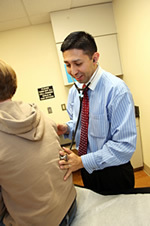 Our providers at Dillon Internal Medicine are always ready to treat and counsel you to reduce your blood pressure. Diabetes is a chronic disease that impairs the body’s ability to use blood sugar. There is a growing concern about diabetes because it is being diagnosed in more people every year. Prolonged exposure to high blood sugar levels damages nerves and blood vessels. Over time, this can lead to heart attack, stroke, kidney failure, blindness and neuropathy. Although diabetes cannot usually be cured, it can be treated and the complications can be prevented. Weight loss, regular exercise, changing diet, and taking medications can all improve diabetes. Treating diabetes can be complicated. It requires frequent monitoring and a high level of attention. At Dillon Internal Medicine, we are prepared to help you diagnose, treat, and manage diabetes and all of its associated conditions. 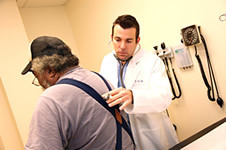 Vist the National Institue of Neurological Disorders and Stroke for more information. Visit the NIH Osteoporosis and Related Bone Diseases National Resource Center website for more information.